JPY is being empowered due to the weaker-than-expected Chinese data. 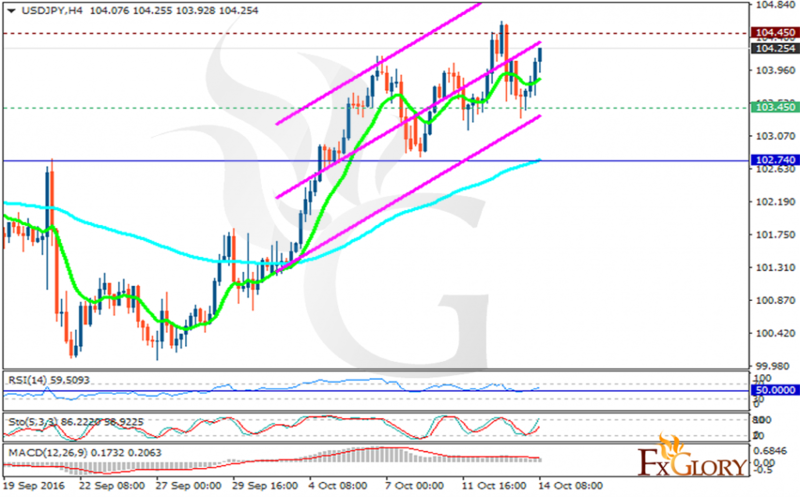 The support rests at 103.450 with resistance at 104.450 which both lines are above the weekly pivot point at 102.740. The EMA of 10 is moving with bullish bias and it is located above the EMA of 100. The RSI is moving above the 50 level in overbought area, the Stochastic is moving in its high ranges and is showing upward momentum and the MACD indicator is in positive territory heading down. The chart is staying bullish targeting the resistance zone at 104.45.